A recently installed smart meter at the intersection of Lee Highway and Harrison Street in North Arlington. Dominion Virginia Power is currently testing smart meters in Arlington County through a pilot program. Of the 32,000 smart meters in Northern Virginia, 19,000 are being installed in Arlington. Replacing traditional meters with smart meters will be important for the coming smart power grid that will replace our outdated and overburdened electricity system to power America with 21st century technology. 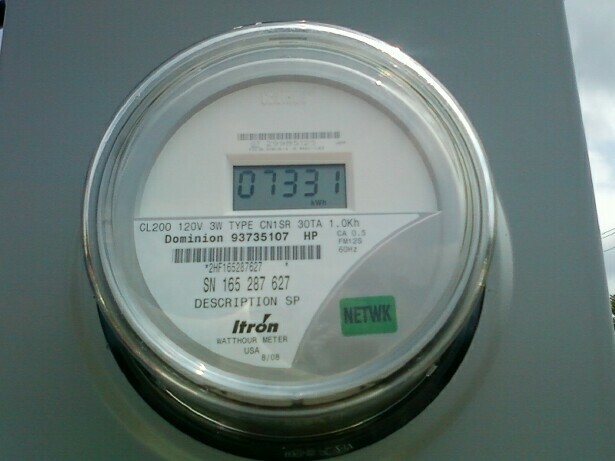 A smart meter, according to regulatory authorities, is an advanced meter (usually an electrical meter) that records consumption in intervals of an hour or less and communicates that information at least daily via some communications network back to the utility for monitoring and billing purposes (telemetering). Smart meters enable two-way communication between the meter and the central system.